Just to let you know this is our third system we purchased for a new residence. Nothing like turning the tap water and being able to drink the water. What water is suppose to be, odorless and tasteless. No maintenance is another plus. Just wanted to tell you that we love our new LifeSource system. We don't buy water any more and the tast is great. We have had Lifesource water system for about 1 month. We had hard water problems before our lifesource system and now it is gone. We drink our tap water now and see no build up in the faucets or shower. We were referred to this product by a neighbor who has it and enjoys it. Installation was easy (for my plumber) - it took him only a couple hours following the instructions in the booklet. Shipping was reliable and fast - unit was very well packaged. Water taste is great - I am already able to taste differences in water from other sources now that I'm drinking really pure water. I really love my LifeSource. I've been wanting it for a couple years and it's finally here. I love being able to get clean water at every faucet. I love being able to breathe in the shower. Yes, I have hurried quickly and try to get it over, so not to breathe the chlorine. Now I can enjoy my long, hot shower. I also love that I don't have to mess with salt, and filters anymore. And we will now be offering our visitors a nice glass of water. No more bottles. Thanks so much for a great product. I will recommend it to others. This is the third house Ive installed a LifeSource water system in. We love it!! There truly is no better system out there! At this house we had sulfur in the water so Tony set me up with the system that would handle it and it works great! No more sulfur! Knowing that I have pure and clean water is so wonderful. 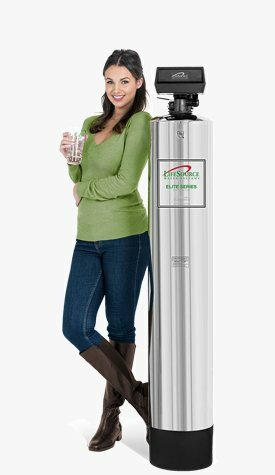 I am writing this note to let you know how much I LOVE my LifeSource Water System! 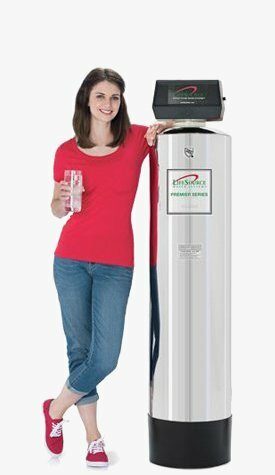 Having had used water delivery in the past, and nothing but unfiltered tap water for the last 9 years, I was so excited to get this system! Knowing that I am giving myself and my daughter pure and clean water is so wonderful. I love that I can get a glass of water from any tap in the house and the water tastes great. I was unaware of all the contaminants in my tap water that was absorbed into my system with showering. Now that I know clean water is coming from my shower head makes me feel good! I am so happy that I bought this gift of pure and healthy water for myself and my family. Curtis Hill was a wonderful salesperson also along with the instillation team. Curtis is a gem! the fresh taste of the water for drinking straight out of the tape. This system will pay for itself. We love our new water system. We've had soft water conditioners for 20 years, and wanted to get away from using salted water. Our conditioner broke and my husband saw an ad in the local Coupon Clipper and thought we'd give it a try. Our water is horrible here in Atascadero so we were a little skeptical that we would be happy with it. I feel good that we're no longer showering with salt in the water; my shampoo rinses out quicker, my skin is not dry and we can now drink out of the faucet and not use our RO system (which uses more water than it makes). Fred Morris was so helpful and answered all questions promptly. The installer Richard, was on time, quick and courteous. Love the customer service and love the water system! Thank you so much for all your help. I think the smell is mostly out and I'm already noticing how soft my hair is again, and my laundry. Not to mention, many less hard water spots on my dishes. I washed a couple of drinking glasses and a big vase, and tilted them upside down, drip dry as always, and not spots just the way I always had with soft water, but, without the salt! I've already Face Booked you, giving you thanks to heath members of my organization! Love Lifesource Water because it serves our whole house and the water tastes clear and fresh. My wife does not want to be in contact with chlorinated water in the shower or bath, so your system was the perfect choice. Our previous system existed when we purchased our house, and served only the freezer ice cube maker and an outlet at a wet bar. The tubing was plastic and was leaking. Your system is hard piped and leak free. We are building a new house in Del Mar and we were so happy with our original LifeSource system in our old house that we had to have it in our new house. The new house is twice the square footage, so we had to upgrade to the larger system, but we can't imagine having water that hasn't been filtered through the life source system. It delivers drinkable water from any tap in the house. 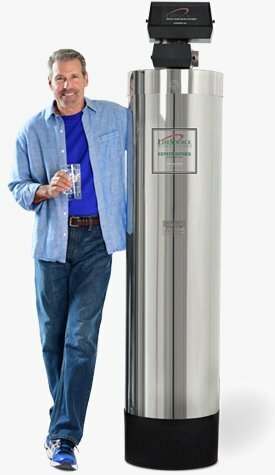 We've had the Life Source Water system since 2001, and we believe it's a good and beneficial product. When the previous one went down we purchased the latest model, which was really quite expensive. This newer model no longer has filters to replace which is a savings in itself. You can really notice the difference in the water. This new one was installed on 1-28-13 and so far we're happy with it. The only negative thus far is the loudness of it when it's in the back-washing cycle. I thought it was a large plane about to land at the nearby Naval Air base when it first started out. We hope to get the twenty to twenty-two years out of it as related to us at the time we purchased it and had the company install it. 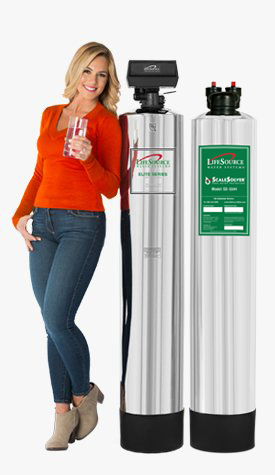 After researching LifeSource water systems, I removed my softener because I knew it was a much healthier way to go. My unit is working great and I enjoy my water. Worth Every Penny - Love It! After searching through all the different systems, we knew Lifesource was for us. We didn't want salt or potassium added. Lifesource certainly gives us clean water - we noticed the clearer ice cubes right away and the water tastes good! Thank you Terry Taylor for helping us and thank you Mike Orr for the fantastic installation. It was a breeze. I'm tired of spending over $100 each month for botled water! Thanks for saving me money $$$!!! Our son has eczema and we wanted safe clean water for bathing and showering. It's also a plus that we can drink the water from the tap. We wanted a whole house system with no salt and no filters to change out. Also wanted to remove chlorine from our water. I wanted to remove the spotting on my dishes (which I don't like) but didn't want to add salt in my water with a traditional softener system. We desired clean water throughout our home, not just under the sink like a RO system. I also like how my lifesource systems has no maintenance cost. Our HOA regulations forbid the use of salt softeners and after searching the web for alternatives, we came across lifesource and love the taste of our water!! Brought a lifesource system after a small get-together at my neighbors home and I was able to taste the water. Installed a system for my family shortly after. I've always wanted to have a salt-free whole-house water systems. When I started searching for one, I found LifeSource products features and ease of maintenance to be really attractive. 1. Tasty water directly from the faucet. Have stopped our bottled water delivery last week. 2. Noticed no minerals build-up on shower doors and easy to squeegee. 3. Same thing with toilet bowls where no noticeable staining and ease of cleaning. Overall, we are very satisfied with our water system and will be more than happy to share the experience with family and friends. I would like to let you know I am pleased with LifeSource. My last unit was a salt water softener and I'm adjusting to your water system as it does not lather up like the old one. Your representative, Cullen Dickson, did great convincing me in a very gentlemanly way on LifeSource. Also, the installation men did an excellent job and where very helpful and obliging along with Cullen. Thank you for your fine service. We really love this water, I can't say enough. I tell everyone how great the system is, I love it. I found out after we bought Lifesource that we have relatives in Orange County that have a Lifesource system as well. I fully recommend Lifesource for anyone. One of our best big financial decisions! We've had our lifesource treatment system for many years and still love it to this day. Its been one of our best big financial decisions! Your technician deserves a raise! Very professional in and out with no complications. I can't say enough good things for his and your service.